Bridal lingerie is as important as the gown itself on your wedding day. It is vital that you look and feel beautiful on your special day. 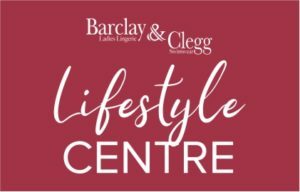 You will find everything you need at Barclay & Clegg. We offer a wide range of matching sets, hosiery, suspender belts and garters, all ideal for your big day. Barclay & Clegg also offers a variety of fun items perfect for your bachelorette or pamper party. Off the shoulder and low back designs are extremely popular and it is important that supportive lingerie is fitted to flatter each individual style. Bridal strapless bra, lace brief and suspender belt by Selmark.